Pablo Estofan spins the Wells Fargo prize wheel at the Park City Welcome Night event Friday, Dec. 20, at The Yarrow Hotel. Deer Valley, Canyons and Park City Mountain Resort hosted the event along with Wells Fargo Bank to greet all new seasonal and international workers to Park City. Christopher Reeves/Park Record. Pablo Estofan, 19, came to Park City from Argentina for no reason other than a gut feeling that he should, he said. Now he is working at the Park City Marriott and looking forward to skiing at Deer Valley on his time off. 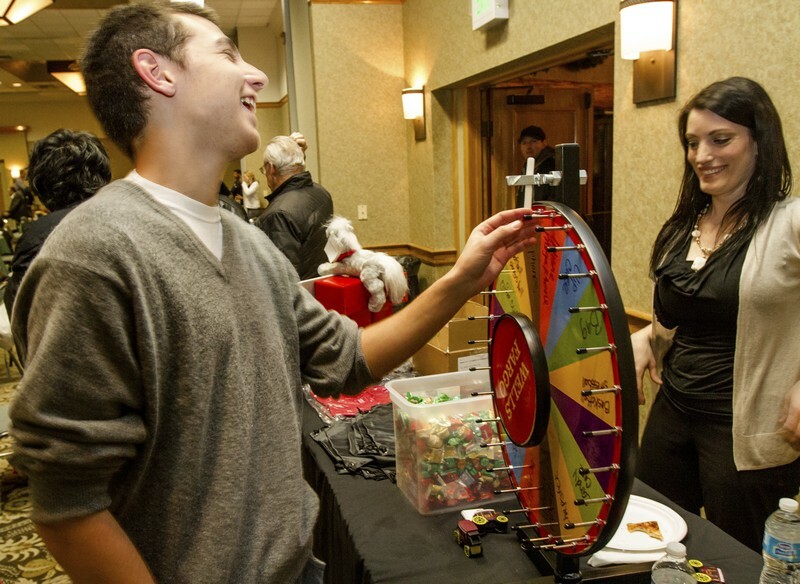 Estofan stood in front of a Wells Fargo Bank roulette wheel in the convention room at The Yarrow Resort and Hotel on Friday, Dec. 20, hoping to win a prize at the second annual Welcome Night all three ski resorts in Park City held for seasonal workers and international students. "I came here to work, travel, learn English and learn the culture," Estofan said just before he spun the wheel. "The people are very nice here, and I am making a lot of friends." Seasonal workers have been arriving in Park City for the last couple of months, and Deer Valley, Canyons and Park City Mountain Resort worked with Wells Fargo Bank to host an event to welcome them and let them know what resources are available to them while they are in town. Most international seasonal workers have J-1 work visas, and Wells Fargo regional sales manager Scott Wakefield said they work with human resources companies that bring them in to make sure they get set up with everything they need to be financially successful. "Every once in a while, there are differences in the way banking is done in their country and in America. If they don’t understand what those differences are, that obviously becomes a problem or obstacle for them," he said. "We take the time to assess their needs, discover how they did their banking in their country and make sure they understand how it works in America." Deer Valley Resort recruiter Cassidy Schindler said the welcome night event is great for seasonal workers to not only learn how to bank but to learn what other resources they have access to. "The goal today is to just let everyone know that the community of Park City embraces them and welcomes them," she said. "There are lots of resources here for them to utilize while they are visiting, whether international or domestic, so we want to let them know what those are." The Hunstman Cancer Institute, in coordination with the Summit County Health Department, had an informational table in the center to let visitors know what health resources they can use while in town. Carolyn Rose, a registered nurse at the health department, said there are usually a lot of health insurance inquiries from seasonal workers. "Most of them do not have insurance, and even with the Affordable Care Act, they may not because they are from out of the country or from other states," she said. "If they do not have insurance, we like to let them know where they can go for basic health care." Rose said the health department, as well as the People’s Health Clinic, provide basic health services for those without insurance. 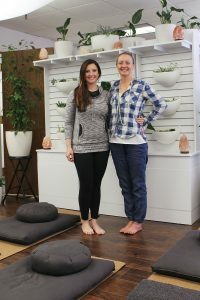 Erica Wannar, conference manager at The Yarrow, said they are extremely happy to have had the opportunity to host the event and hopes guests will discover all of the opportunities and services vendors at the event and throughout town have to offer. 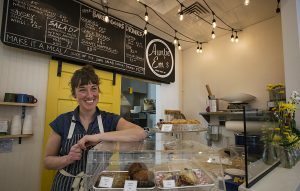 "Tonight, we want all the J-1s to have the opportunity to connect and gain employment opportunities, financial opportunities and whatever else all these vendors can give them access to," she said. Housing opportunities were an issue seasonal workers faced earlier in the season, but Estofan said he found an apartment at The Prospector with two roommates. In other instances, workers found employee housing on-site, like Collin Contarino, 22, from Rockford, Ill. He is a bellman and driver for the Deer Valley Club, and he said he spoke with Deer Valley about employee housing before he moved. "To be honest, I know for a fact that I would not be here if it wasn’t for that," he said. Estofan and Contarino were lucky enough to find housing, but those still looking can speak with the human resources offices at their new place of employment to find a place. Once housing is taken care of, events like Welcome Night can help visitors get to know others in their same situation and make friends. 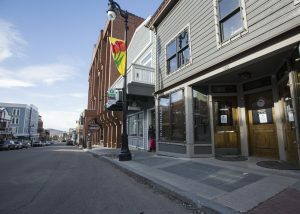 Contarino came to Park City after a seasonal summer job at Mount Rainier in Washington and said he is not quite sure yet what is next for him. While he is here, he said he would like to meet people his age and make new friends. "I don’t know too many people here besides the people I work with," he said. "But just being in the mountains has been so cool. I love Main Street, and this is just a nice little town." 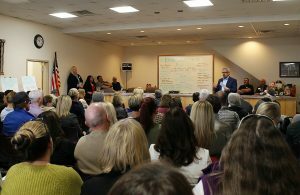 Wakefield said helping the seasonal workers get to know each other and the town they are working in was the goal of the event, and all was going as planned. "We are very happy that the students, the J-1s and the international workforce come to this event," he said. 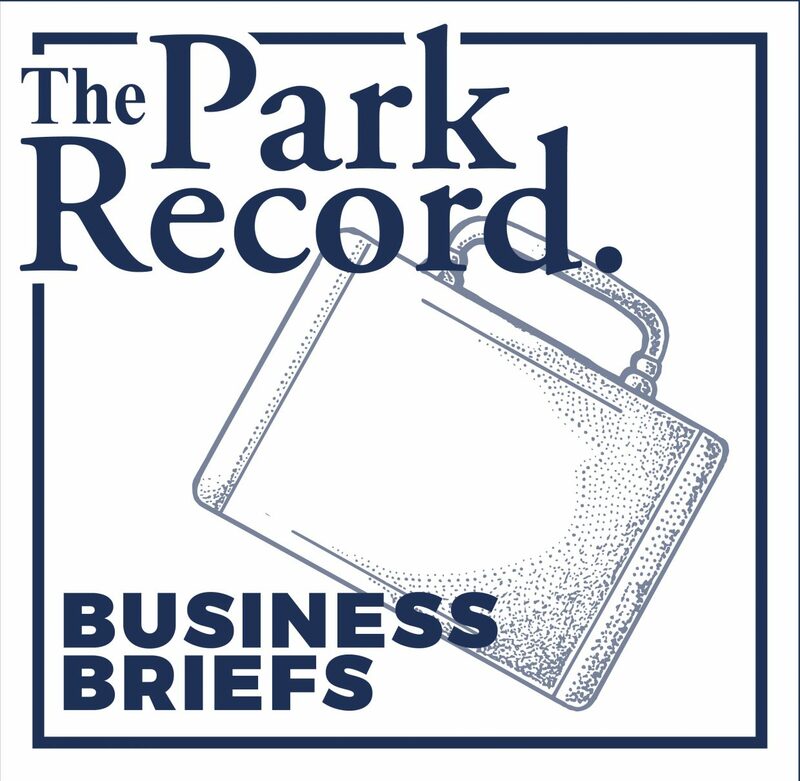 "We want to put on a fun night and give them a little bit of exposure to a lot of the vendors and businesses that are critical to their stay in Park City."